On the outside, Cucciolo Osteria retains the appearance of a common old Durham warehouse. Yet upon entering, one emerges into a no-frills, rustic space composed of exposed brick and towering ceilings and complemented by an enormous marble bar top. The owner, Jimmy Kim, has strong ties to Durham as a double Duke grad: not only did he complete his undergraduate degree here, but he also attended graduate school at Fuqua. Despite his Korean heritage, Jimmy actually spent much of his childhood at a Swiss boarding school, where he always turned to Italian food as a source of comfort and solace. 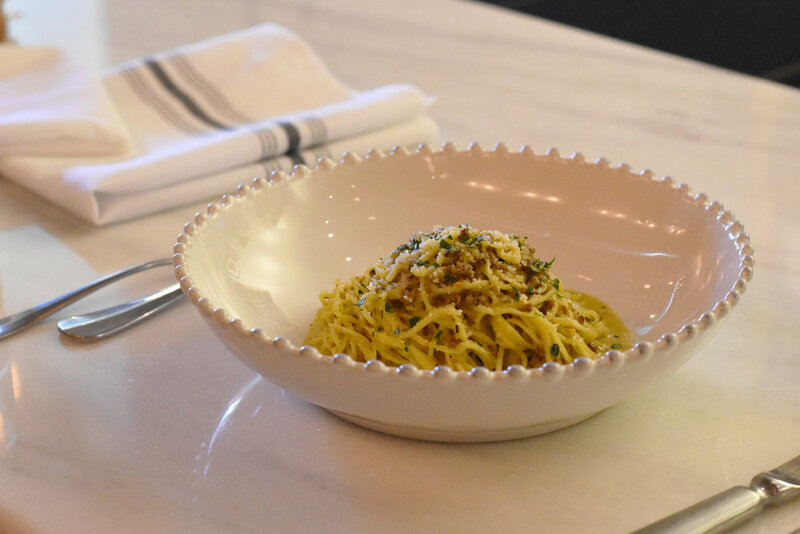 With the help of his culinary-trained cousin who owns several Italian restaurants in Korea, Jimmy opened Cucciolo in the summer of 2018 as an homage to the Italian food that has always provided him with a sanctuary. After spending over a year trying to locate a space, he fell in love with the massive warehouse space that now houses his restaurant. 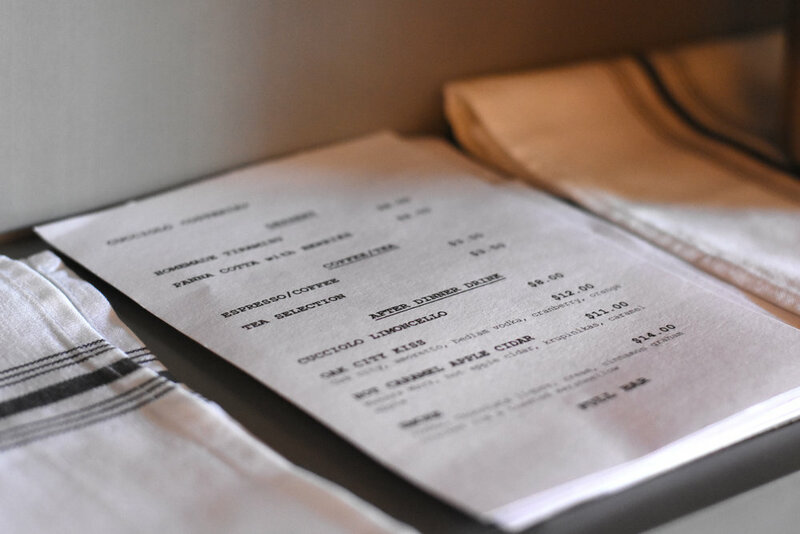 Matching the picturesque space, Cucciolo has an understated yet highly curated menu of classic Italian plates. 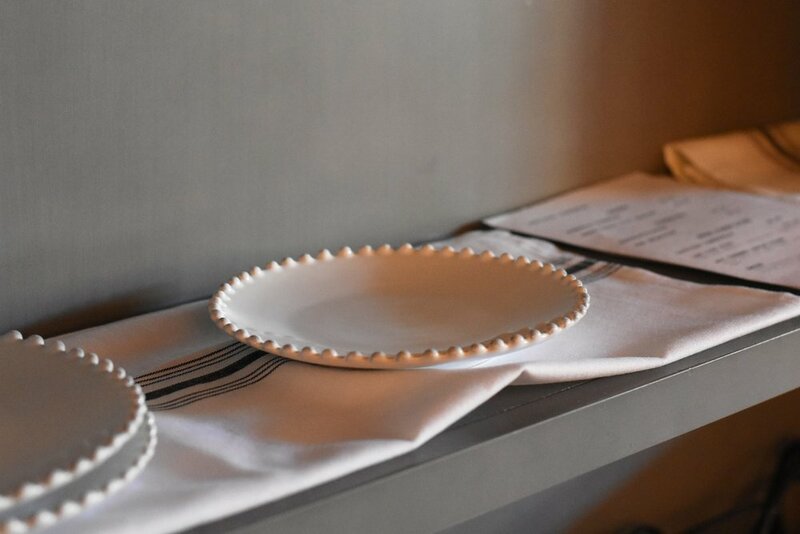 From the spread of bruschette to the spicy vodka tomato cream rigatoni, each dish is straightforward yet exquisite. Made fresh daily, the tajarin pasta is the base for two of the pasta dishes. 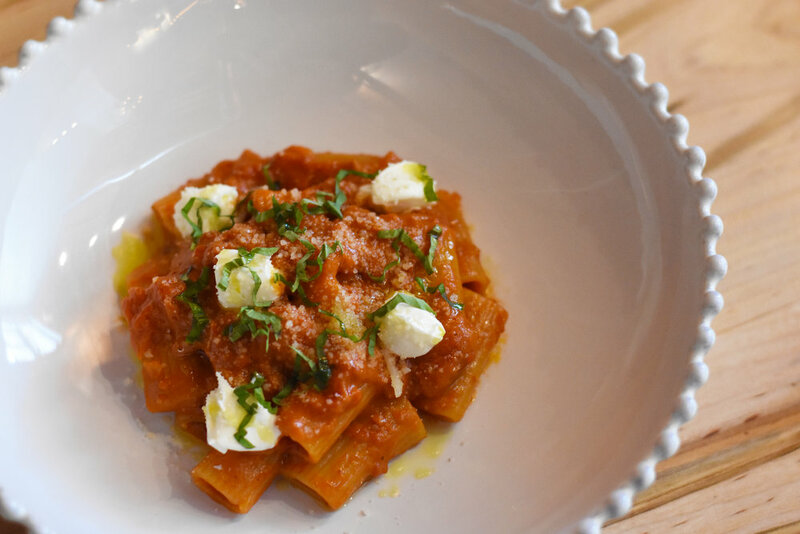 First, the white ragu shows off a clean and light pasta with an enticingly savory beef and pork that adds luscious flavor to each textured bite. Second, the delicate black truffle tajarin: within each taste is a feathery, thin tajarin coupled with the aroma of earthy, garlic truffle. For those who prefer a tomato-based sauce instead, the spicy vodka tomato cream rigatoni beautifully balances the sweetness of the tomato with the heat of the vodka cream, all encapsulated by tubes of rigatoni cooked to an impeccable al dente. 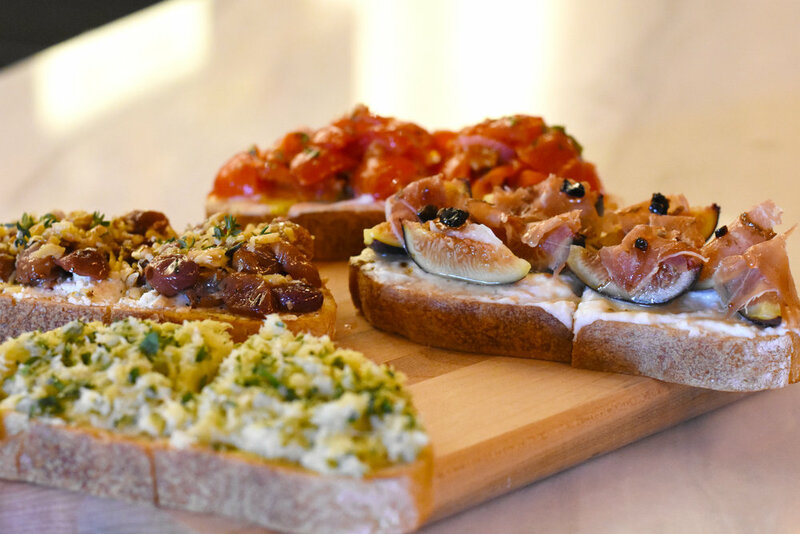 There’s nothing quite like Cucciolo Osteria around. Jimmy’s multifaceted background, his connection to Durham and his passion for Italian food; what emerges out of this marriage of cultures and interests is an excellent craftsmanship sustained by a steadfast dedication to providing the best culinary experience for customers. Classic but not bent upon tradition, Cucciolo is intimate, welcoming, and will warm each who steps in through its doors.